The term ‘side hustle' seems to be on everyone's mind lately. 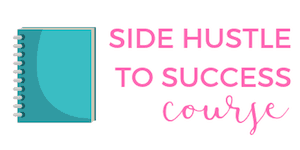 Rarely does a day go by that I don't hear or read about the word ‘side hustle', whether it's on the radio, tv commercial, online or between friends. 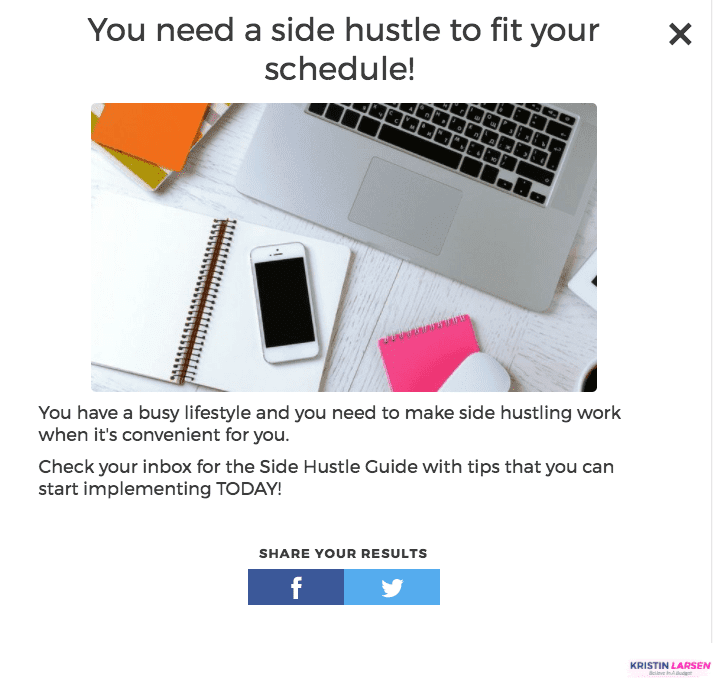 If you are feeling overwhelmed about where to start with a side hustle, I get it! I've been side hustling for years and have tried dozens of different methods to earn extra cash. If you are new to side hustling, don't stress it! 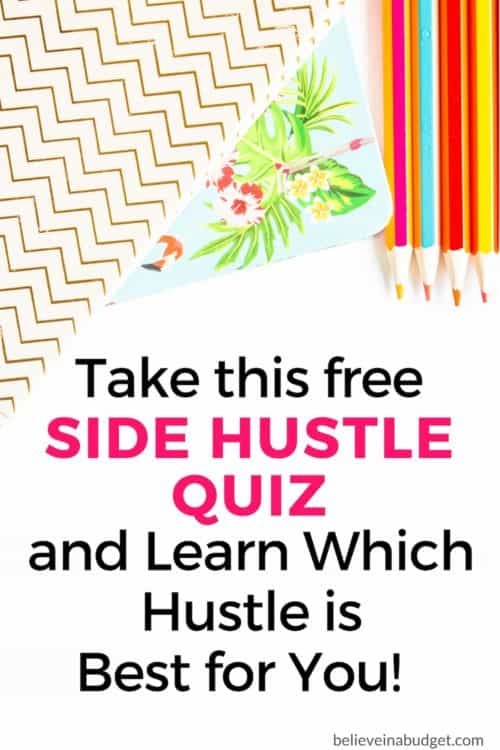 I've created this fun and fast quiz you can take to see what kind of side hustle would fit your needs and personality! Speaking of quizzes, I love how quick and easy they are to take! Ebates is my absolute favorite company to use when I’m shopping online. Hello, it’s free money! Every time I shop online, I always start at Ebates. They have a list of all the places you normally shop at and you just click on the store you want to visit online. The cash back ranges from 1% to 14%. The money is then deposited into your PayPal account. I’ve made over $700 from shopping online and earning cash back. Join Ebates here! I have made thousands of dollars over the past few years from taking surveys online! There are a handful of companies that I love to use and earn cash back into my PayPal account, as well as reward points that I can use at places like Target, Walmart and Macy's. Qapital is a totally free app that let's you decide how much money you want to save every time you make a purchase. You can pick from $1 all the way up to $5. So let's say I spend $24.05 at the grocery store. Qapital will then transfer $1 to my savings account. Digit lets you save money each week from your checking account. What I really like about Digit is that it analyzes my bank account and determines how much I can really save per week. Some weeks it might be $5 and other times it might be $20. You don’t have to worry about overdraft and can contribute less or more if you need to. You can learn more about Digit here. The only downside to Digit is they charge $2.99 per month to use their service. I don’t mind the fee though since it’s helping me save money every week. I made the quiz above in about 15 minutes from start to finish using Interact. Interact let's users create quizzes, polls, giveaways and more. 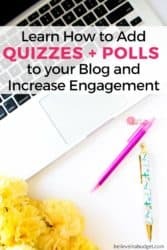 I'm always on the lookout for new and fun ways to engage with my readers and a quiz seems like a great way to connect with everyone, as well as provide a better user experience. 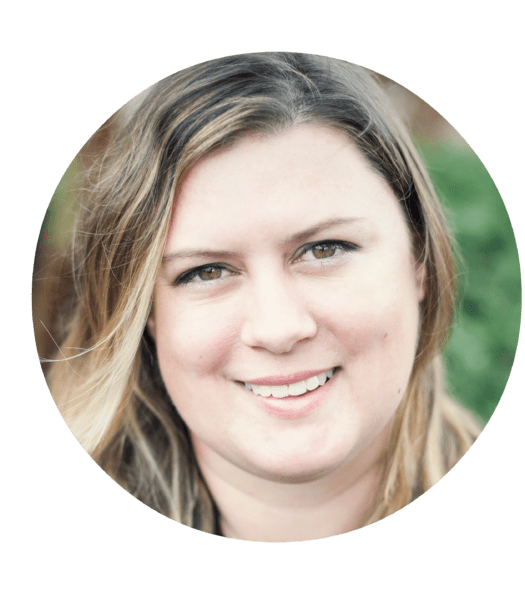 Blog – Learn what my audience really wants to read about (and not read about!) Quiz results can help steer readers in the right direction if they don't want to perform a search on my blog. decide if this is the right course for them or not! Existing Students – a poll can provide great feedback. As I am regularly updating my course material, a poll can let me know students would like added to a course. When you create a quiz, poll or giveaway with Interact, you also have the option to set up customizations on the back end. This includes things like email integrations, Google analytics and more. If someone is new and visiting my website and takes a quiz, I like to provide the results via email! This way the reader can receive an email, save it and refer back to it if needed. It's also a great way for the reader to get a quick ‘hello' from me with the information they requested. Creating a quiz is also quite simple! You can customize everything – the font, images, answers, etc. Here's a few snapshots of what the back end looks like when setting up a new quiz. First, each quiz is set up into four different areas that you can set up and customize. The first section is ‘Branding & Styling'. This is where you can enter your blog or brand's colors, select a font and insert an image for the cover page. 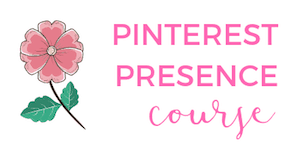 I like to make my quizzes match my blog's overall theme, so I used the same color and font as my website! The next section is where you get to write all your questions. This is my favorite part because I can really ask specific questions. While some quizzes might be ‘graded' and the goal is to get all the answers correct, I also like to create quizzes where there is no wrong or right answer! For example, if you took the quiz above, you'll know that there can be three different outcomes depending on how you answered the questions. Each outcome is based on how you answer the question, and each outcome provides a course of action! I don't like to overwhelm my readers, so I try to limit the answer section to three different choices. Of course, there is no limit to how many answers you can list when creating the quiz! Setting up email integration is really easy. 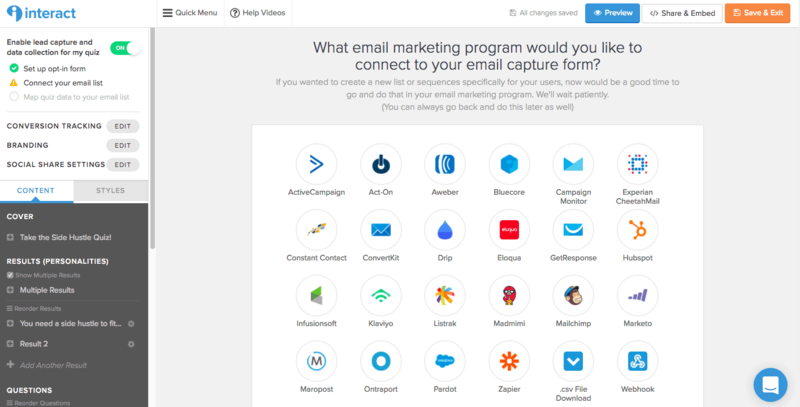 I use Get Drip, but there are dozens of email providers to choose from, including MailChimp and ConvertKit. Once I linked my account to Get Drip, I was also able to select which email response (funnel) the reader would receive based on the outcome of their quiz! It literally takes seconds to connect everything! 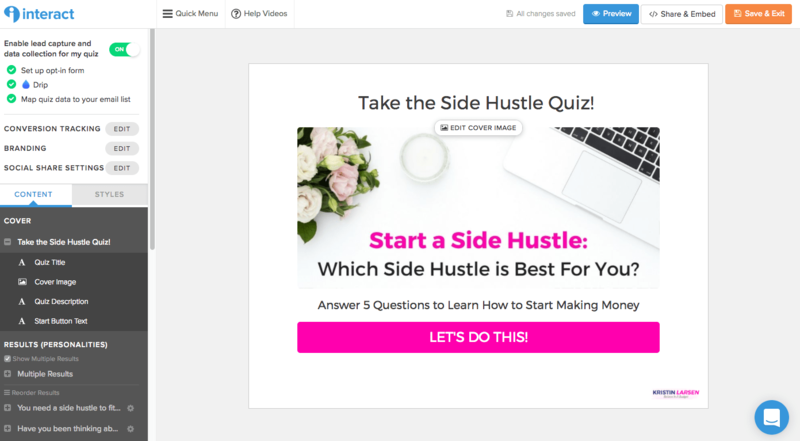 Once you finish building your quiz, there's a few different ways you can share it to your readers! I like to use the WordPress plugin, as it's really easy to fill out on my website. Once I finish the quiz, I just enter the quiz number below. Then the plugin give me a short code that I can insert into my blog post! Finally, make sure you take advantage of the ‘social' media share option! This is a great way readers can let their friends know online how they scored from the quiz. This helps promote your quiz and invites more potential readers to take the quiz as well. Now you have learned what it's like to take a quiz and make a quiz with Interact. 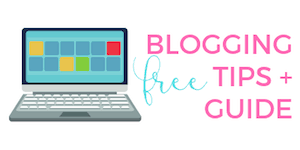 If you think your blog or website needs a quiz, poll or giveaway, you can learn more here. Finally, since I didn't share how to create a poll with Interact (it's even easier than creating a quiz), you can check it out below – it only requires 1 answer to see the results!